Warm Up With Stretches - Jog open/close the gate, jog out lung alternate, jog out heel to bum, jog out high knees, shuttles. x2 each exercise. 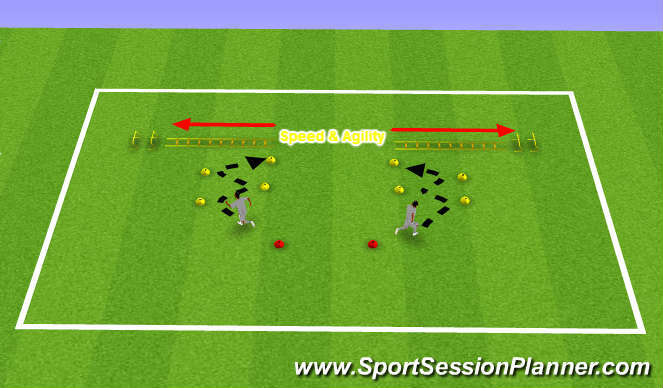 Speed & Agility - Zigzag through cones, then sprint through ladders, single leg hop over hurdles, alternate to opposite leg. Progression - (Ladders only) Double toe tap, Hop scotch, both feet in ladders. 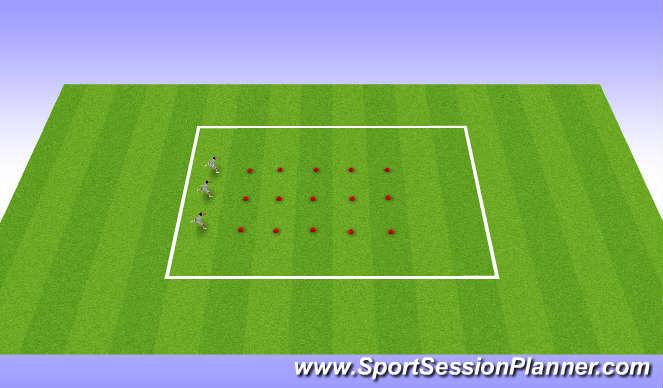 Teaching Points - Get low on the zigzag cones, pushing out from the planted foot. On the front foot (toes) when sprinting through ladders. Soft bend in knees and straight back when hopping the hurdles. 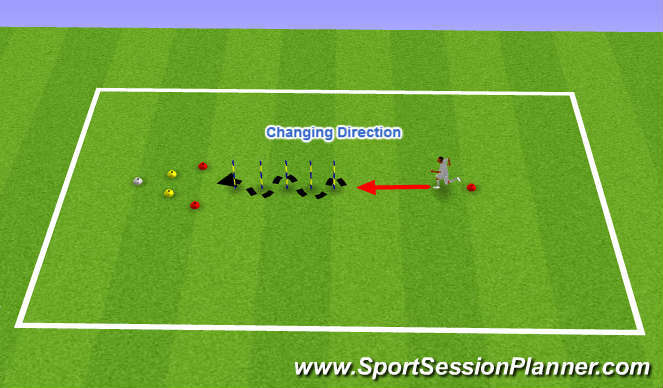 Changing Direction - Sprint to poles weave through as quick as possible (left to right or right to left), on command touch right or left coloured cone e.g. (right, yellow) or just white, then walk back for rest, as soon player reaches end of poles next player goes. Repeat 4 times.